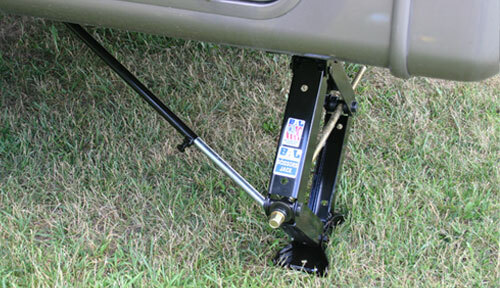 For use on tent trailers, lightweight travel trailers and fifth wheels with up to 20" of frame-to-ground clearance. Super low profile storage (2"). 1,000 lb. static capacity per jack. Single jack part #: 23005-17", 23007-19"